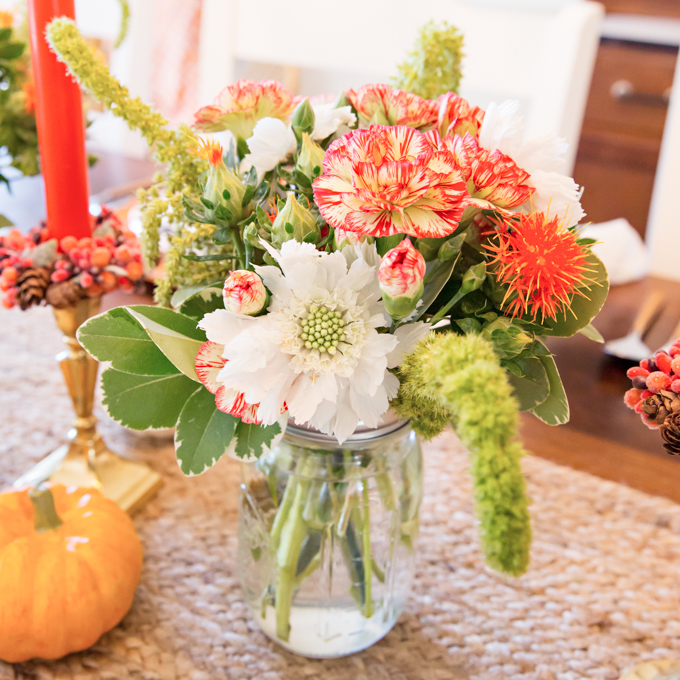 I’m hoping to get a Thanksgiving tablescape posted for you, but it’s quite possible, I’ll be skipping right to Christmas. 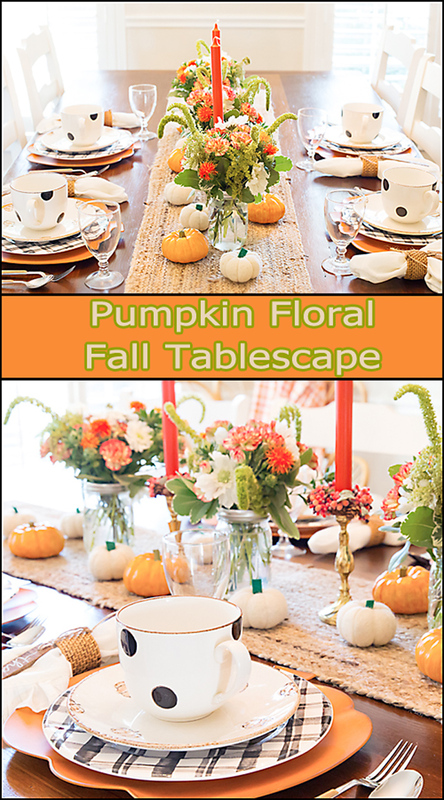 Other than the addition of maybe a turkey or pilgrim decoration, my fall tablescapes, including this Pumpkin Floral Fall Tablescape, could also be a beautiful table to host your Thanksgiving meal. 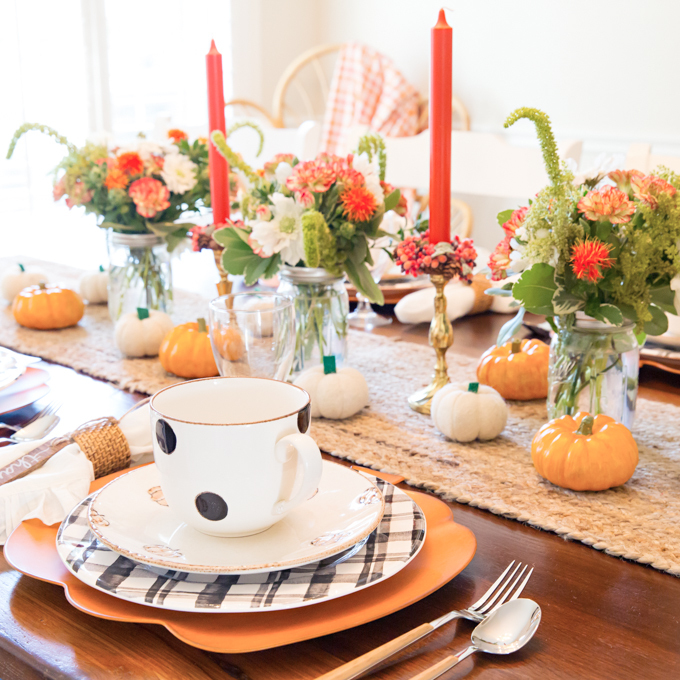 I love Fall Tablescapes and how easily you can transition them from early Fall through Thanksgiving. 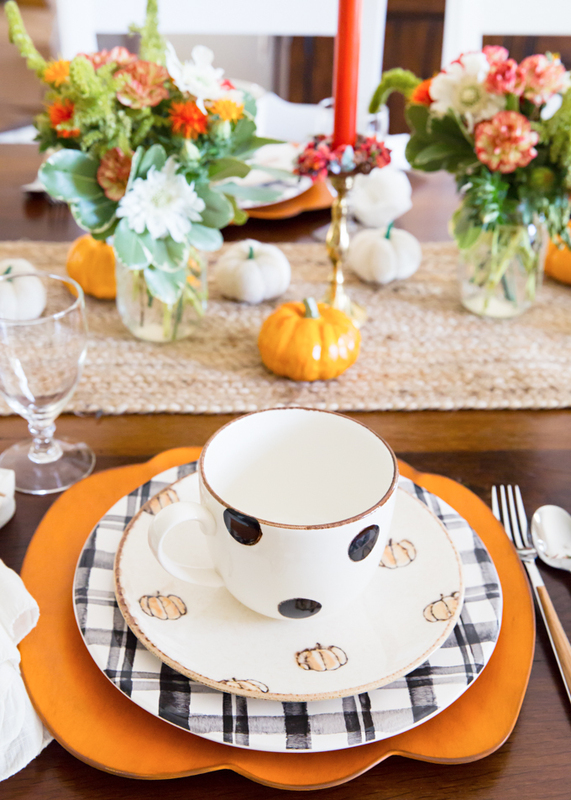 As hard as I tried, I couldn’t resist these pumpkin plates from Home Goods. As soon as I saw them, I had this vision of paring them with my black & whites plates that I picked up earlier this year from Pier 1. Home Goods was very limited on the salad/dessert plate and I was only able to get four, but I knew I still needed wanted them. 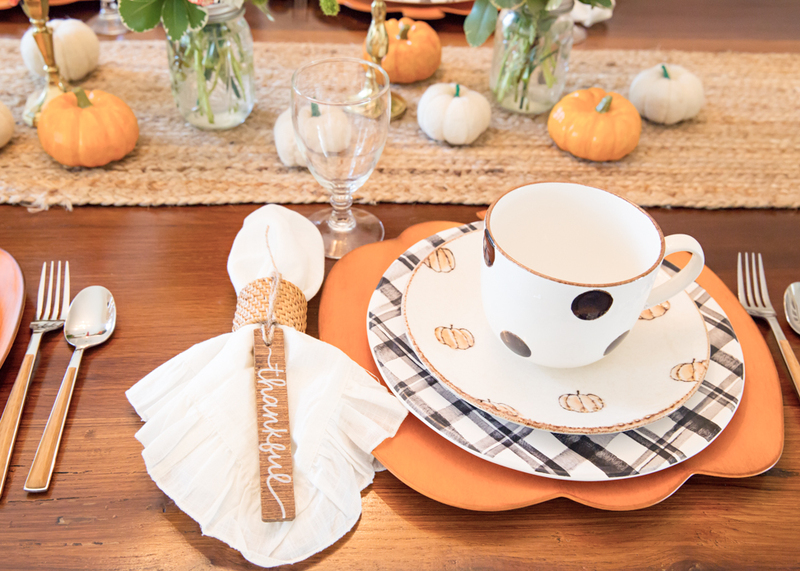 Something still seemed to be missing for the perfect place setting. Until…..I turned the corner and saw these large mugs. They were a match made in heaven even though they were not from the same collection. Fast forward a few weeks, and I pop into Pier 1 for one item, and leave with eight of the pumpkin chargers. I justified this purchase because they were less than $5 each. I did need these!! 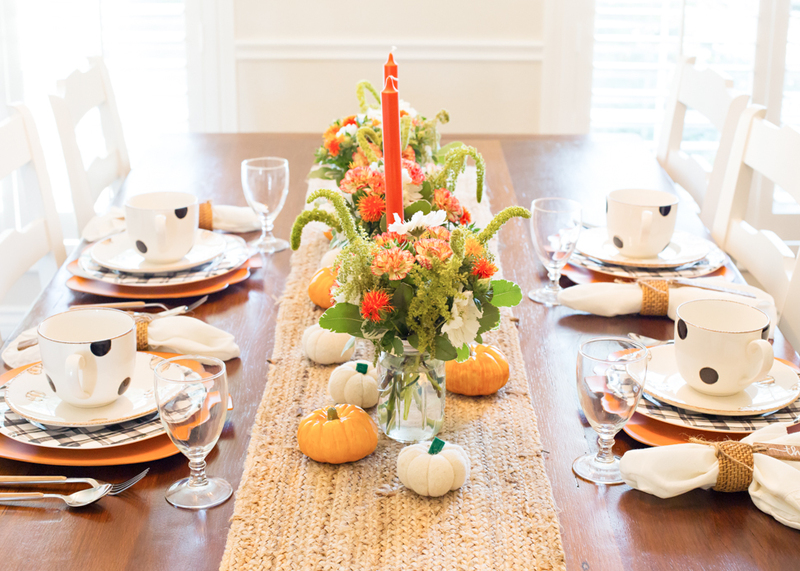 I added a quick floral arrangement, added a few pumpkins, and this Pumpkin Floral Fall Tablescape was almost done!! The final “extra” were the wooden tags that I tied onto my napkin rings. 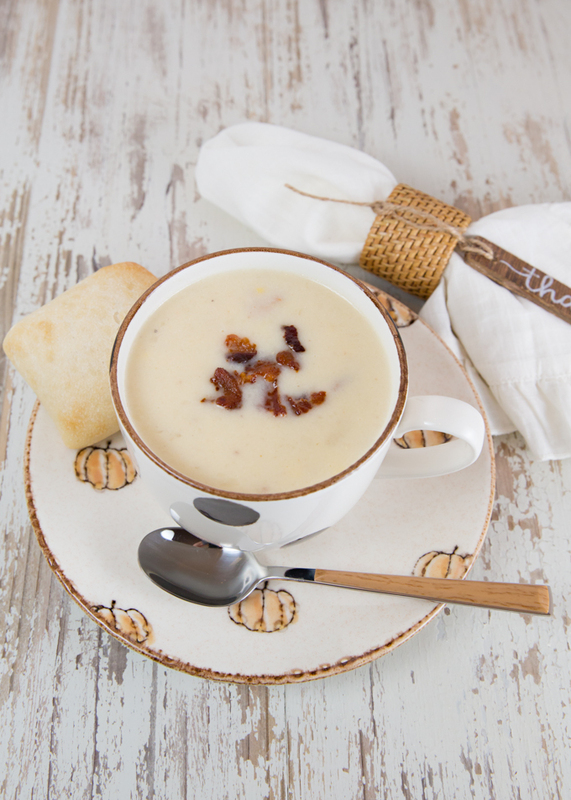 In case you’re wondering what I served… Potato Corn Chowder! 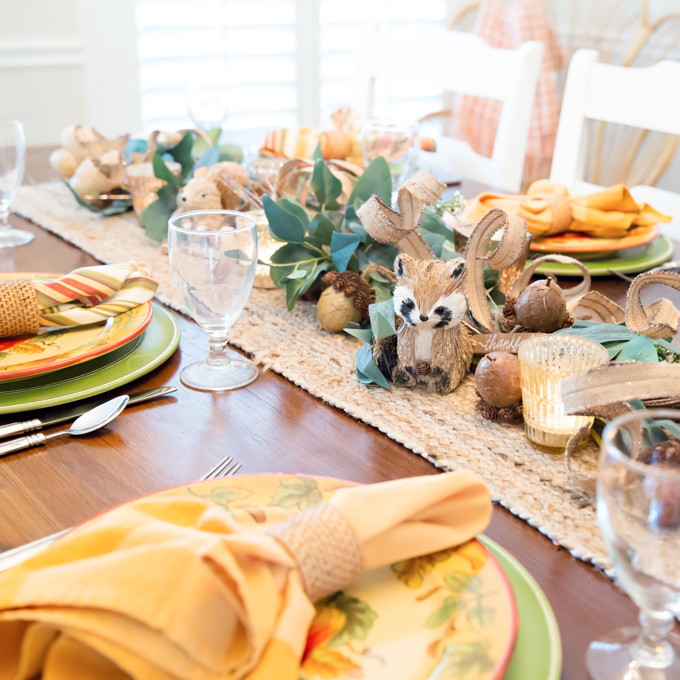 You might also like this Woodland Themed Fall Tablescape.